German Electronica. 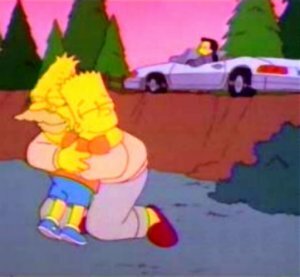 Somehow those two words in combination always seem to conjure up images of a classic Simpsons Episode: Hey fun boys, get a room! Somehow (don’t ask me why) my initial impressions of German Electronica were a tad less farcical. Working backward from more recent artists like Depeche Mode, Stereolab, The Chemical Brothers, Boards of Canada, Goldfrapp, Underworld, and the Crystal Method leads one on a rather interesting journey. I don’t necessarily suggest undertaking it if you haven’t the stomach for stumbling across the occasional 10 minute compilation of random noise bursts and atonal tripe. That said, the outcome of the Krautrock scene of the 70’s has made an indisputably huge impact on world music. If you like dark electronic musical motifs that remind you of scenes from Blade Runner or Tron blended with subtle pop interludes you’ll be intrigued by the following. Booka Shade have remained below the radar in North America for far longer than makes any sense. Starting out as a Synth-Pop act in the early 90’s they re-appeared briefly in the mid 90’s to release some tracks on the same label that produces the Jock Jams series. Growing tired of the trance scene – perhaps the flood of Jocks bothered them – they decided the way to achieve success on their terms was to found their own label, launching Get Physical in 2002. Having spent a couple years building the label up, in 2004 they again focused on their own musical careers, releasing their debut album ‘Memento’ in 2005. The collaborative track Body Language garnered them Ibiza Track of the Season 2005. 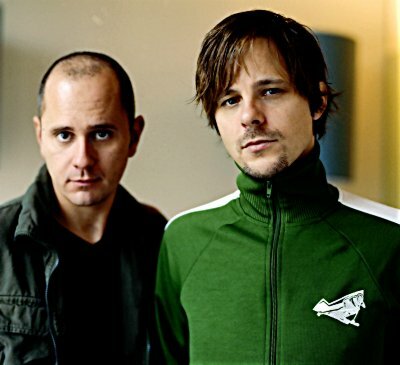 The Success continued when Get Physical was named Label of the Year by DJ Magazine for 2005, and 2006 has seen them open for Depeche Mode, and release remixes for Moby, Royksopp, Tiga, Mylo, and The Juan McLean. Following the April 2006 release of their 2nd album Movements, they’ve hit the road for a world tour to continue their rise. Either way, you can find samplings of their music on their Myspace page here. Perhaps more interestingly here’s a look at a video a fan has posted on Google for their track ‘In White Rooms’, it seems to involve a lot of break dancing LEGO men. Not as dark as TRON or Blade Runner, but it’ll have to do.